Make your grandmother smile with a cute way of saying Happy Birthday. 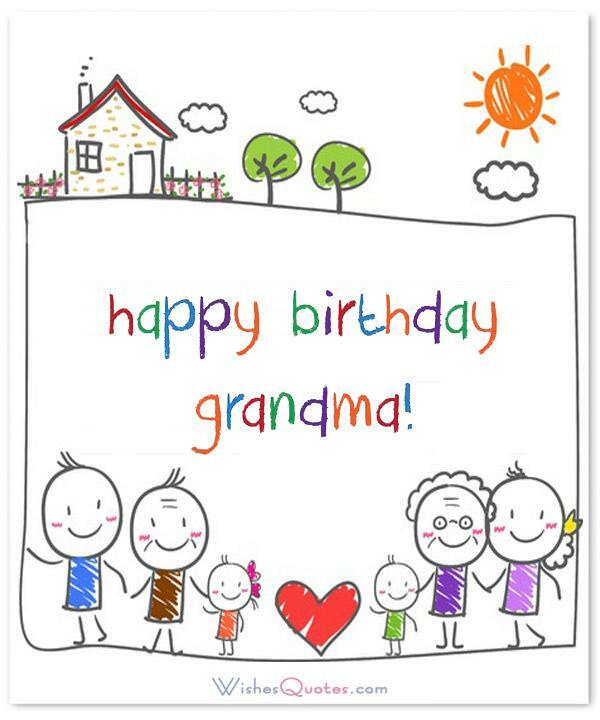 Send your grandma original birthday wishes and greeting cards with these message ideas from WishesQuotes.com writers. If we’re fortunate enough to know our grandmothers, we realize what a profound impact they’ve had on our lives. They have, in no small degree, formed our concept of womanhood. They nurtured our mothers into the matriarchs they have become. True, the grandmothers of today are not the plump, pie-baking, quilt-sewing subservient grannies of yesteryear. They may be professionally employed, vital, gym members. Two things remain true: grandmothers are an invaluable part of our lives, and they are still largely unappreciated. When Grandma’s birthday rolls around, we are presented with an opportunity to express the gratitude we rarely verbalize. Although modern grandmothers may be social media savvy, nothing says “I have no time for you, Grandma” like a five-word birthday Tweet! Get personal with this most essential woman – put your sentiment in writing. Following are examples of messages that will let Grandma know you appreciate her..
On your birthday Grandma, I want to apologize for all the messes I made when I was growing up. I’ll try to keep my kids from doing the same! Love you! You should be called “Professor Nana.” You taught me cooking and sewing, but mostly you showed me the true meaning of love. Happy Birthday. When some people think “Grandma” they think of little grey haired ladies in rocking chairs, but I think of beautiful, dynamic, loving YOU! Happy Birthday. Of all the insecurities I may have, I see your face sometimes when I look in the mirror, and it makes me smile. We’re beautiful! Happy Birthday. Your face appears in the dictionary under “Perfect Grandma.” Definition: beauty, compassion, gentle power and love. Happy Birthday. We don’t see each other as often as I’d like but, on your birthday, I want you to know how blessed I feel that God has graced me with you. I love you. If I seem happy, strong, kind, successful, spiritual or loving, it’s all due to your example, Grandma. Happy Birthday with love and gratitude. I hope your birthday is lucky… as lucky as I am to have you as my own awesome Grandma. I love you! When I say my prayers on your birthday, I pray that you enjoyed your day, but also send God prayers of gratitude. I’m so blessed to have you in my life. Fun, laughter and long silly talk there’s no one I’d instead get into mischief with than you, Grandma. Happy birthday. Hey Birthday Girl! Thanks for showing me that age doesn’t necessarily have to define you. 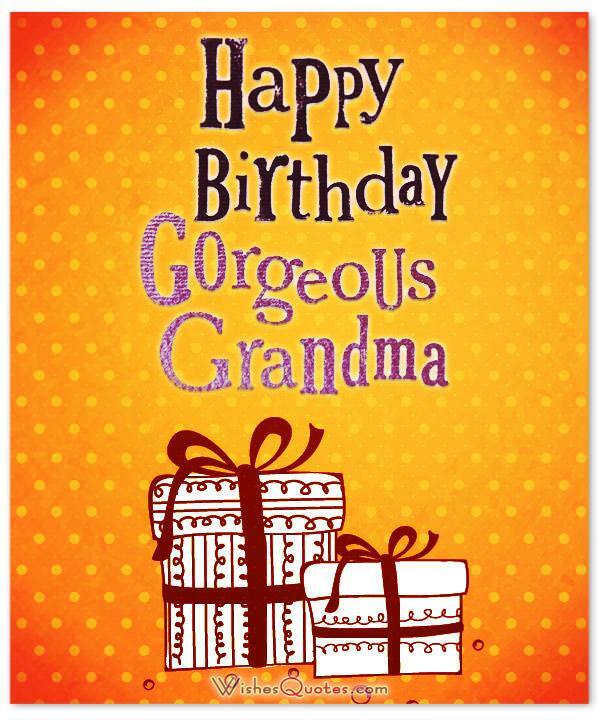 I hope the most awesome Grandma has the most awesome day! 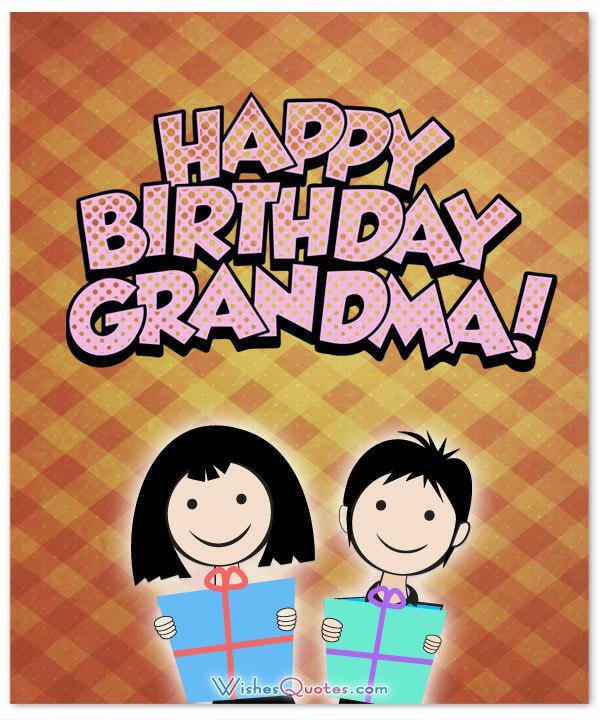 Happy Birthday, Grandma, from your favorite grandchild. What do you mean, WHO? (I haven’t told the others that it’s me either). Love you! Sometimes we take some of the most beautiful things in our lives for granted. On your birthday, I just wanted to thank you for everything, Grandma. Grandma, I don’t know how you’ve managed to blend warmth, kindness, intelligence, strength, and compassion into one person — but I hope it’s hereditary. Happy Birthday. You’ve cradled me in your arms, calmed my fears, and shown me by example what real strength looks like. Happy Birthday to the World’s Best Grandma. Okay, maybe we didn’t have the white picket fence, church pot-luck, teaching to knit kind of relationship, but you were always the most fantastic Nana of all time. Happy Birthday, Grandma. With all the bad things we see on the news every day, it’s so good to know that you and your love always provide a haven for my heart. 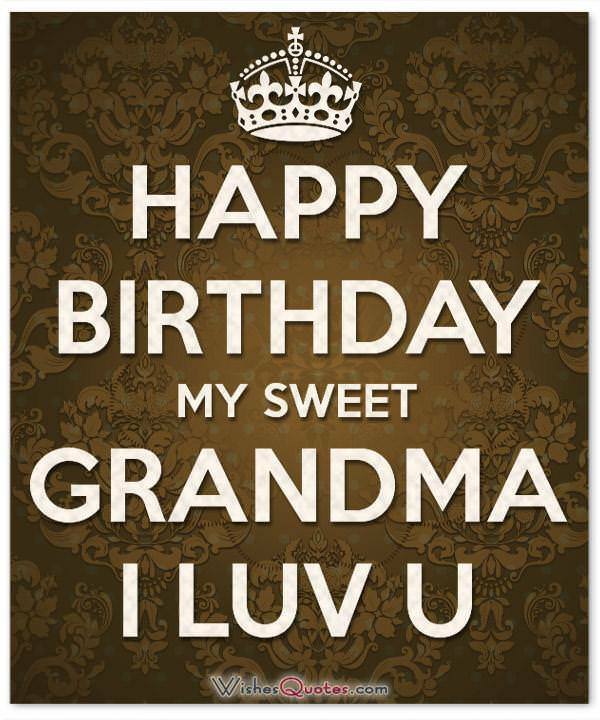 Happy Birthday with love, Grandma. If the home is where the heart is, then I’m with you every minute of every day, Grandma. Happy Birthday with love. I don’t know where you’ve hidden that fountain of youth, but I’m your granddaughter, and I deserve to know! I love you, Grandma… Happy Birthday, you hottie!